Below you fill find all funeral homes and cemeteries in or near Andalusia. Suburbs of Andalusia: Dixie, Libertyville, Pleasant Home, Rome, Straughn. Andalusia is also known as: Covington County / Andalusia city. Their current mayor is Mayor Earl Johnson. Zip codes in the city: 36420, 36421. Covington County funeral flowers can be purchased from one of the local funeral shops we partner with. Some of the notable people born here have been: Darren Pettie (actor). It was noted on February 1st, 2019 that Thomas Donaldson died in Brooksville, Florida. Donaldson was 66 years old and was born in Andalusia, AL. Send flowers to express your sympathy and honor Thomas's life. It was reported on January 1st, 2019 that Annie Douglas (Johnson) perished in Buffalo, New York. Ms. Douglas was 69 years old and was born in Andalusia, AL. Send flowers to share your condolences and honor Annie's life. It was written on August 23rd, 2018 that Lynda Carter (Holley) died in Niagara Falls, New York. Ms. Carter was 66 years old and was born in Andalusia, AL. Send flowers to express your sorrow and honor Lynda's life. It was written by The Roanoke Times & World News on July 31st, 2018 that Charles Grantland Rev Fuller perished in Roanoke, Virginia. Fuller was 86 years old and was born in Andalusia, AL. Send flowers to share your condolences and honor Charles Grantland Rev's life. It was revealed on June 24th, 2018 that James Bradberry died in Danville, Illinois. Bradberry was 79 years old and was born in Andalusia, AL. Send flowers to share your condolences and honor James's life. It was disclosed on April 15th, 2018 that Otis Phelps died in Niagara Falls, New York. Phelps was 81 years old and was born in Andalusia, AL. Send flowers to express your sorrow and honor Otis's life. It was written on March 29th, 2018 that Dorothy Elaine Hoy (Goodwin) perished in North Tonawanda, New York. Ms. Hoy was 89 years old and was born in Andalusia, AL. Send flowers to express your sorrow and honor Dorothy Elaine's life. It was revealed on November 28th, 2017 that Grace W Johnson (Bogan) died in Niagara Falls, New York. Ms. Johnson was 83 years old and was born in Andalusia, AL. Send flowers to express your sorrow and honor Grace W's life. It was disclosed on August 30th, 2017 that Katherine Fulton (Davenport) passed on in Temple Terrace, Florida. Ms. Fulton was 82 years old and was born in Andalusia, AL. Send flowers to express your sorrow and honor Katherine's life. It was disclosed on July 28th, 2017 that Reuben Jr Byrd died in Niagara Falls, New York. Byrd was 72 years old and was born in Andalusia, AL. Send flowers to share your condolences and honor Reuben Jr's life. According to the 2005 US Census estimates, the city had a population of 8,691. 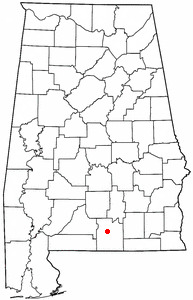 [http://www.census.gov/popest/cities/files/SUB-EST2005-all.csv] The city is the county seat of Covington County, Alabama County. Andalusia is a city in Covington County, Alabama County, Alabama, United States. It is also the home of the World Series of Dominoes Tournament. At the United States Census 2000 census the population was 8,794. The official website for the city of Andalusia is http://www.cityofandalusia.com. Dope bust in Elba Twp. We work with local florists and flower shops to offer same day delivery. You will find budget sympathy flowers in Andalusia here. Our funeral flowers are cheap in price but not in value.